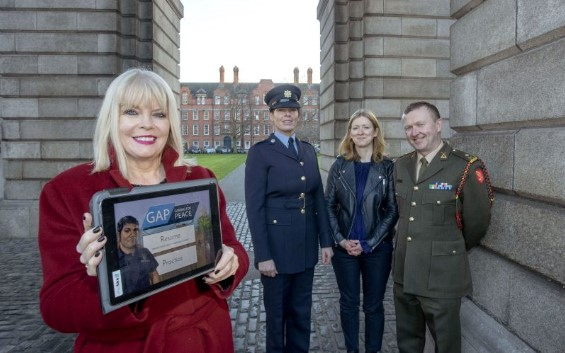 A new digital 2D role-playing game which will be used for training military, police and civilian peacekeepers in conflict zones was launched in January at a Soft Skills Summit at Trinity College Dublin. ‘Gaming for Peace’ is a new training tool with an inbuilt curriculum in soft skills for peacekeepers as well as an assessment of those skills. It is planned that all military, police and civilian personnel deployed in EU conflict prevention and peacebuilding missions such as Iraq, Libya, Afghanistan and Palestine will be able to receive training through the online role-playing game. ‘Gaming for Peace’ (GAP) is a European Commission Horizon 2020 funded project being conducted by a team of researchers from Sociology and the ADAPT Centre at Trinity College Dublin, and is led and designed by Associate Professor Anne Holohan of the School of Social Sciences and Philosophy. It brings together 15 European partners, including police and military forces such as the PSNI, Irish Defence forces, the Finnish, Bulgarian and Polish militaries, as well as the Polish and Portuguese police forces. Other universities involved are NUI Maynooth, Ulster University, University of Laurea in Finland as well as companies such as Upskill in Belfast, and the Irish computer games company Haunted Planet. Soft skills relevant for peacekeeping were identified through the examination of existing training practices, and through in-depth interviews with 180 experienced military, police and civilian personnel from the project’s partners. These also served to generate authentic scenarios, issues and events related to the soft skills embedded in the 2D digital role-playing game. Players role-play as a member of another organisation, a different gender, ethnicity or nationality. The player is assessed before, during and after the game. They can see through the progress they are making, their improvement in communication, gender awareness and cultural awareness from playing the game. The game is playable in segments to allow for group discussion of the issues it addresses. On completion of training, players can receive an individual ‘Soft Skills Passport’ which is benchmarked to international standards. Ahead of the Soft Skills Summit this week, the European Security and Defence College, which oversees the training of all EU personnel deployed on peacekeeping UN and NATO missions, piloted the delivery of the game. Trinity became a member of the European Security and Defence College, nominated by the Department of Defence, to enable delivery of GAP to all EU personnel training for peacekeeping missions. A key note address will be given by Major General Micheal Beary, recently retired Head of Mission and Force Commander of UNIFIL at the Soft Skills Summit Reception to honour peacekeeping personnel on Thursday 10th at 7.30pm in the evening in the Dining Hall at TCD. That event is free and open to all peacekeeping personnel. For more information on the Soft Skills Summit click here.